With the utmost excitement I signed for the package, opened it up, and removed it from the box. I had in my hands the new Samsung Galaxy S from T-Mobile. With glee I told friends that I had a shiny new toy. And for many days, stretching into weeks, I played with it as though it were a Game Boy from my youth. The nostalgic high, though, would soon come crumbling down. It was after playing with this device that I realized the backwardness of it all. This wasn’t supposed to be a toy. It was, and is, supposed to be a device to make me a better worker. Given the cost of a smartphone — hundreds of dollars up front and a monthly bill that adds up to hundreds per year — it shouldn’t be a toy. If you’re not seeing a clear return on investment, perhaps you should rethink your smartphone usage. That’s what I recently did. All it took was three simple steps. Any fellow marketer or web worker can employ the same steps to get back her smartphone and turn it into the tool it was intended to be. There are two basic types of notifications on smartphones, and both provide ample distraction. This distraction takes our focus off our big goals and places it on ephemeral events that do not require any level of urgency. Disabling as many of them as possible will immediately make a smartphone less distracting, allowing us to focus on matters that will improve our standings. The first that should go are audible notifications. There are certain audible notifications, such as a ringer, that can, and probably should, stay. A phone call has a far higher chance of being urgent than an email. Text messages might carry urgency as well, depending on how you use them, so they might necessitate an audible notification. But for email, instant messages, Facebook, Twitter, and any other app, audible notifications only diver our attentions to non-urgent matters. Turn them off. 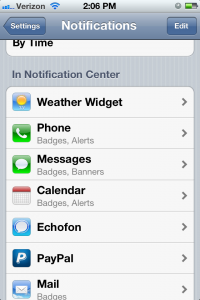 Banner or pop-up notifications can also distract. These are what killed me in the past. I’d pull out my smartphone and without even unlocking it I’d see not only that I had new notifications, but I could see what they were. I could see who sent the email and the subject; I could see the Facebook status update; I could see who just made a move in Words With Friends. That compelled me to unlock the phone and check them. After removing them I check them far less frequently. That keeps my focus on actual urgent matters. We’ve already taken care of the first purge, which is the notifications. But they’re just the start. There are plenty of unnecessary items on your smartphone that are taking up space. These also have the ability to distract, since there is a level of curiosity. Better to get them out of sight, out of mind. For starters, this means deleting all apps you don’t use and have no intention of using. These might be apps you’ve downloaded on a whim, or they might be ones that came with the phone. It’s easy to outright delete most of them. If for some reason you can’t — the iPhone doesn’t allow you to delete certain apps — you can shove them off to a distant home screen. Better yet, put them in a folder labeled “Trash” and put it on a distant home screen. That way there’s no temptation to open it; you know what it contains. Everyone should also purge their contact lists every so often. I try to do this once a month. It allows me to keep a compact and tidy contacts list, which makes it easier to navigate. There are apps that will help you merge duplicate entries, but to be accurate you must do it on your own. Delete contacts with whom you’ll never speak again. It will help you keep your list focused and useful. As mentioned above, I play Words With Friends. Sometimes I have a half-dozen games going. While that’s a nice distraction, it’s not something anyone should prioritize. Yet there’s the WWF icon, right on my first home screen, complete with the number of moves I have to make. It’s as though I want to distract myself. At the same time, my calendar widget is tucked away on a fourth or fifth home screen. My to-do list is on a second home screen. Some productivity apps, such as timers and stopwatches, aren’t on any home screen. They’re tucked away in my apps dock with every other app on the phone. That doesn’t seem optimal, does it? When selecting which app icons appear where, keep your general purpose in mind. That is, what smartphone functions make you a better worker? For me it’s email, text notes, voice notes, a to-do list, calendar, and a stopwatch/timer. I have re-organized to make sure all those items are front and center, while moving Words With Friends to a distant home screen. That way when I open up my phone I don’t see the distractions. I see the useful items. Smartphones are such great tools for any worker. They help us stay organized, and put loads of information at our fingertips. Of course, because they’re so advanced technologically they also have the capacity to become debilitating distractions. We can, thankfully, take just a few steps in order to insure that they remains tools and not toys. For our hundreds, even thousands of dollars, that seems like the smart move. 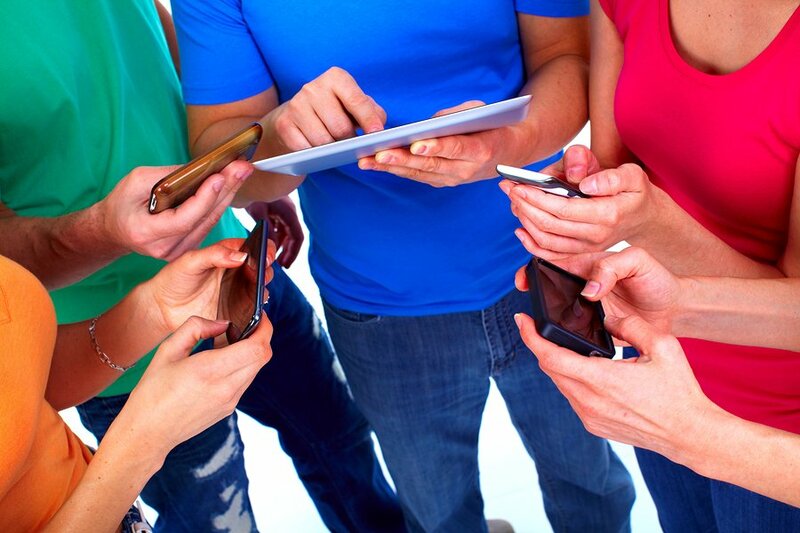 Does your smartphone inhibit your productivity? What do you do to avoid distractions in your work day? Joe Pawlikowski has been writing about mobile tech for the past five-plus years. He writes about prepaid wireless services at Prepaid Reviews.